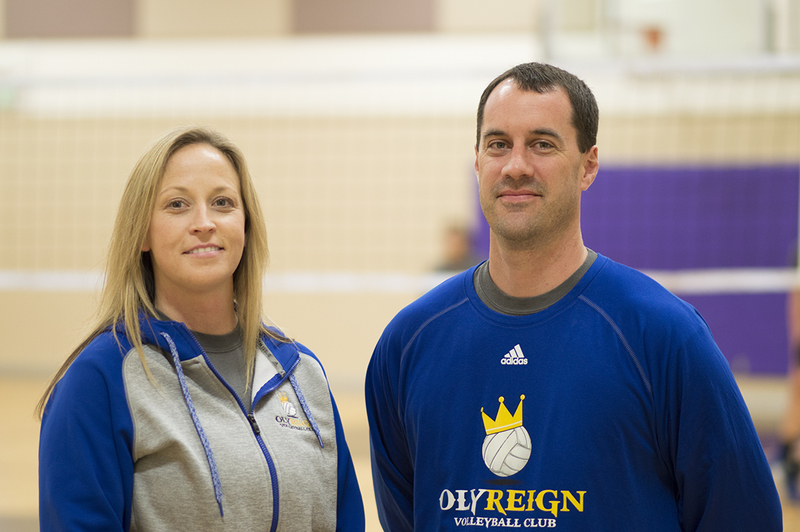 In just their first season, coaches Todd Oestreich and Holly Nichols have turned the Oly Reign Volleyball Club into a success. Photo credit: Grant Clark. Less than 10 months ago the Oly Reign Volleyball Club didn’t have jerseys for their players or even a place to practice. 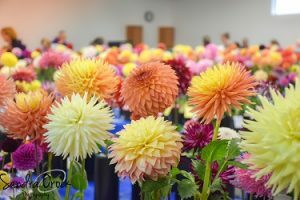 The club also failed to feature a single member on its roster, but this was all acceptable since co-directors Todd Oestreich and Holly Nichols were still in the process of lining up the volleyball club. Oestreich and Nichols goal was simply to lay a foundation for the program to build on and field at least three competitive teams. Those two items have certainly been achieved, and then some. Just how successful has the club been during its inaugural run? 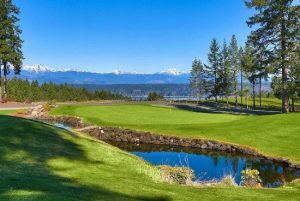 Consider the fact that not even a year into its existence, Oly Reign will be sending a team to the Junior National Championships next month in Minnesota. 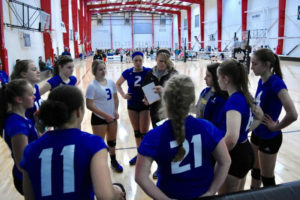 Prior to starting the Oly Reign Volleyball club, Oestreich and Nichols developed an Olympia-area satellite program for the Puget Sound Volleyball Academy (PSVBA), eventually growing the club to five teams, featuring players between the ages of 12 to 17. 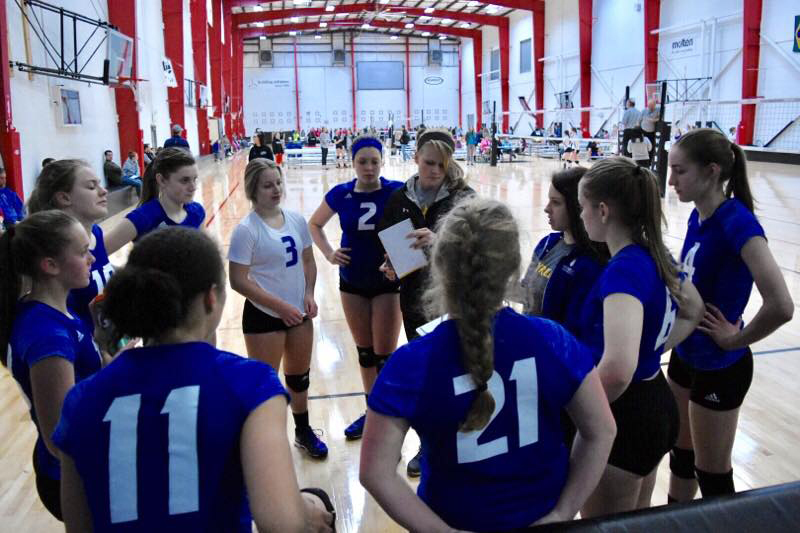 The 15U Gold team will conclude its first season with a trip to the Junior National Championships in late June. Photo courtesy: Oly Reign Volleyball Club. As the satellite expanded so did their realization that Thurston County could support its own youth volleyball club committed to developing and promoting the sport from entry-level players to elite athletes. The club sports seven teams – ranging from 12U to 17U – and feature a total of 14 coaches, including 17U head coach Kata Peterson, who led Black Hills High School to 12 state playoff appearances and was the head coach at Saint Martin’s University for three seasons and 13U head coach Micah McBride, a former head coach at North Thurston High School who guided the Rams to a second-place finish at the 2012 3A state tournament. The Oly Reign Volleyball Club features seven teams ranging from 12U to 17U. Photo courtesy: Oly Reign Volleyball Club. 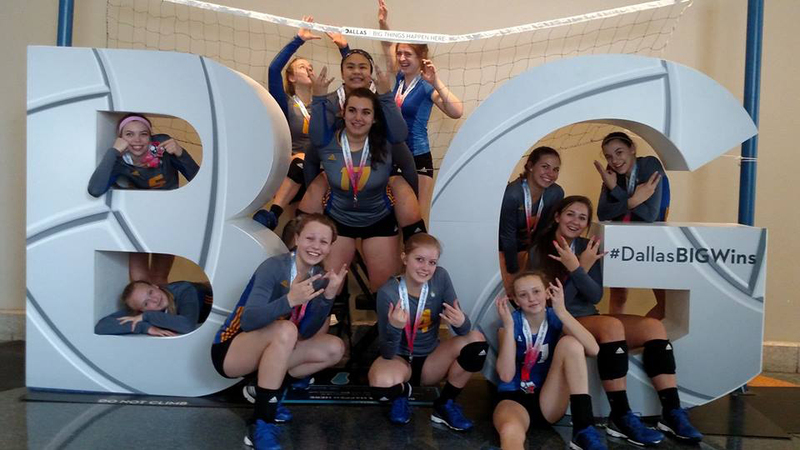 The Reign’s 13U team finished one spot out of a national-qualifying bid at the Pacific Northwest Qualifier in Spokane and had a solid showing at the Far Western tournament in Reno. The 14U team has “been improving significantly along the way,” according to Oestreich. The Oly Reign’s 15U Gold team finished second at the Lone Star Classic in Dallas. Photo courtesy: Oly Reign Volleyball Club. The 15U Gold finished second in the gold bracket at the Lone Star Classic in Dallas in April. 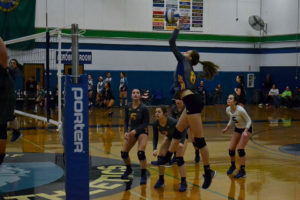 The team followed up that performance by tying for fifth in the open division gold bracket at the Far Western tournament, where they knocked off the No. 1 seed, before finishing first at the regional qualifier in early May to earn a bid to the national tournament. 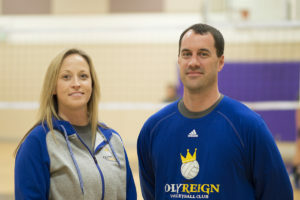 To learn more about the Oly Reign Volleyball Club, visit www.orvbc.com.